January 3, 2017 Eventscadaver dog north carolina, cadaver dogs, cadaver dogs nc, cadaver dogs north carolina, hrd, human remains detection, human remains detection dogs, K9 SARDOGS, K9 Search and Rescue, nc cadaver dogs, nc k9 sar, search and rescueNC K9 E.R.T. Deposit: Deposit of $150.00 MUST be included with your registration form. Description: Actual fieldwork will be the emphasis for this seminar including, wilderness, urban, buildings, vehicles and scenario based training. To get this rate you MUST tell them you are attending the NC K9 E.R.T, Seminar you MUST also register by: April 1, 2015. NC K9 Emergency Response Team, Inc.
SARX 2016 will be a full scale, wilderness search and rescue mission, designed to offer operational experience in the challenging and diverse terrain found throughout eastern North Carolina. It will give search teams the opportunity to practice and improve their skills in: man-tracking, ground search, K-9s in their respective disciplines, mounted teams, communications, and support. SARX 2016 will be managed by following the NIMS system. You will have the opportunity to observe or participate in any position or job. All types of resources are welcome and will be deployed in the search exercise if applicable. 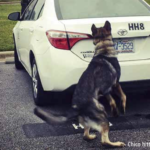 JANUARY 12, 2016 – WILSON NC – NC K9 E.R.T. will be holding our annual Human Remains Detection Seminar from April 21-24, 2016. For more information please download the following documentation. Completed forms should be emailed to HRD2016@NCCERT.ORG. We look forward to seeing you again this year. If you haven’t yet attended one of our seminars, we look forward to meeting you! Jan Scofield – Jan was born and brought up in upstate New York. In 1969 he went to work for Yates County Sheriff George Spike in his hometown of Penn Yan, New York. He worked in several different areas within the department and was elected Sheriff of Yates County in 1982. 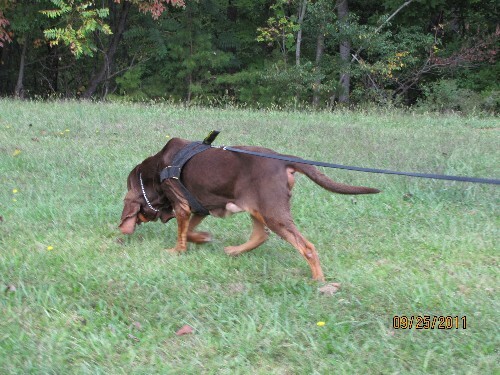 Jan started training bloodhounds, patrol dogs, and detector dogs during his time in that department. He initiated the first patrol dog program the department had. Also during his time at the Sheriff’s Office he became a master trainer for the North American Police Work Dog Association and National Trainer & Certifying Official for the National Narcotic Detector Dog Association. Jan also assisted the Municipal Police Training Council in writing and implementing the first New York State patrol and detector dog certification programs. He retired in 1991 and accepted a position as Canine Specialist with EG&G of Florida and the Kennedy Space Center in 1992. While at the Space Center he handled and trained ordnance and drug detector dogs and was responsible for astronaut protection. In 1998 he left the Space Center and came to the Titusville Police Department where he retired from on January 11, 2013. While at Titusville Police Department he was in charge of the K9 unit. He and his wife Marsha still reside in Titusville Florida. Mickey Januszkiewicz – Retired Charleston Police Dept. in 2005, after 30 yrs. Fred Mendiola – Deputy Mendiola has been with the Brevard County Sheriff’s Office since 2000 and a K9 Deputy since 2001 as a Bloodhound K9 Handler. Dep. Mendiola has been a Narcotics K9 Handler since 2005. He has received several awards for service with the Brevard County Sheriff’s Office to include: Law Enforcement’s Medal of Valor, J. Edgar Hoover Award, Deputy of the Year for the State of Florida through the Florida Sheriff’s Association. He is a member of NCMEC Team ADAM and FDLE CART, Orlando Region. Chris Wood – Cpl. Wood has been with the Brevard County Sheriff’s Office in Jan. 2003 as a Corrections Deputy. He was a Field Training Officer (FTO) and promoted to Corporal in Sep. 2005. Chris has been a Bloodhound Handler from 2003 and a Cadaver K9 Handler since 2005. Cpl. Wood has received several awards for service with the Brevard County Sheriff’s Office for Cadaver K9 calls for service. Chris is a FBI cadaver resource for the State of Florida, a member of NCMEC (National Center for Missing and Exploited Children) Team ADAM and FDLE CART, Orlando Region. He is an NCMEC/FBI cadaver Instructor and also holds an FDLE Instructor certification. Cynthia Avery – has over 23 years in law enforcement, and is a retired Detective from the Ann Arbor Police Department in Michigan and holds a BA in Criminal Justice from Michigan State University. She has training and experience in search management and is a national instructor in the field of safety service background investigations; teaching law enforcement agencies throughout the United States. She brings her skills of homicide investigation, the investigation of violent death, evidence preservation, crime scene training, search and rescue report writing and courtroom testimony to her search and rescue instruction. 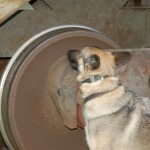 Cynthia was first introduced to the K9 Search and Rescue in 2006. She now contributes her time as an Air Scent and Human Remains Detection K9 Instructor. She has certified in Illinois Search and Rescue Council of Search Management and Technical Search Planning, holds a NASAR SAR Tech II certification and is a member of Michigan Search and Rescue, and the Klaas-Kids Foundation. She is on the deployment roster for the National Center for Missing and Exploited Children and a K-9 resource for the Missouri mutual aid disaster response. Cynthia holds K-9 certifications with the Network of Canine Detection Services, the North American Police Working Dogs Association, the International Police Working Dog Association and Country Class Canines in the disciplines of SAR Area Search, Air Scent, Advanced and Crime Scene Human Remains Detection, and Article Search. She has instructed in the states of Michigan, Indiana and Florida. She has conducted presentations throughout the State of Michigan, Indiana, Manatee County Search and Rescue, Southwest Florida K9 Search Unit and National Network of Canine Detection Services. Daniel “Mac” Morgan-entered into a career in Law Enforcement in 1973, he became a certified K-9 handler and master trainer in 1979. Mac was instrumental in implementation and was the master trainer for the first police department operated K-9 school for police patrol dogs in North Carolina. In 1986, he was awarded an advanced law enforcement certification by the State of North Carolina. After retiring, Mac became involved in Search and Rescue in 1993 and formed Carolina Canine Search and Rescue (renamed Wake Canine Search and Rescue, Inc. in 1996), where he served as President and Director of Training. He has served as Vice-President and President of the North Carolina Search and Rescue Advisory Council. In 1999 he formed North Carolina Canine Emergency Response Team, Inc. as part of North Carolina Task Force One (NCTF-1) where he served as President until 2006. He now serves as President / Chief of the North Carolina Canine Emergency Response Team, Inc. Mac is a member of NASAR (National Association for Search and Rescue) and certified instructor and evaluator. 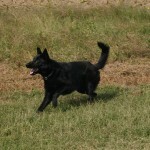 Mac has instructed K9 classes and seminars throughout the southeastern US. Gordon Deno – has worked on Incident Management Teams locally, state-wide Gordon has been the Emergency Manager for Wilson County, NC since July 1993. He has worked for Wilson County since 1984. He has been involved in emergency services work for the last twenty-nine years including 911 dispatch, EMS, Fire Service, Hazardous Materials and Search and Rescue. Gordon was a search dog handler for ten years. He and his dog Duncan worked numeorus searches across the state and are responsible for locating several lost people. Together, they worked both lost persons searches as well as human remains searches. Duncan passed away in August 2010. Gordon is a NC Fire/Rescue instructor. He specializes in Incident Management and, and nationally including Hurricanes Charlie in Charlotte County Florida and Katrina in New Orleans Louisiana. He is the immediate Past President of the NC Emergency Management Association. Dr. Elle comes to veterinary medicine as an extension of a successful career in physiological psychology/neuroscience. Her scientific studies in cognition, behavior and brain injury and recovery (e.g., trauma, disease, CBRNE exposure) across many different species, motivated her to expand her work from science to application in veterinary medicine. While completing her DVM at Colorado State University, she continued her research in diseased and injured wildlife both domestically and internationally. She has had the privilege of working with amazing rescued animals including elephants, koalas, raptors and many other wildlife species in their native countries. Dr. Elle also has interests in integrative medicine (e.g., rehabilitative, alternative, behavioral, nutrition, nutraceutical) and is certified in Veterinary Medical Acupuncture (a neuro-anatomical, evidence based approach) specifically in small animal, large animal and exotics. She has a special place in her heart for working dogs; their unique physical and mental health needs and is trained in Tactical Canine Casualty Care as well as Medical Management of Chemical and Biological Casualties. In her spare time, she has the privilege of volunteering for the search and rescue community, working to facilitate K9 performance through mental and physical well being, conditioning, treatment and recovery. “THE SANFORD HERALD – Despite gray skies and plenty of rain, the revving of motorcycles echoed throughout downtown Sanford Saturday afternoon as nearly 50 members of America’s Guardians Motorcycle Club rode in to attend the club’s fundraiser for the N.C. K9 Emergency Response Team at Depot Park. DUE TO CIRCUMSTANCES BEYOND OUR CONTROL, THIS EVENT HAS BEEN CANCELLED FOR 2015 ONLY. WE WILL RETURN WITH A NEW SAREX IN 2016. HRD FOR APRIL IS STILL ON AS PLANNED! Beaufort County, NC and NC CERT presents it’s 15th annual Search and Rescue exercise SARX 2015. Please see the attached documentation for registration and sign-up. All teams are highly encouraged to attend as this exercise is as close to real life as it gets. If you have any questions, please make contact with one of the persons listed on the attached flyer. Lodging will be provided onsite in the form of cabin bunkhouses. Tent camping is available in the area as well. For those of you who want to camp and are bringing an RV, please contact one of the persons listed on the flyer to make arrangements. No hookups are available for campers or RV’s. Attendees should check in before setting up camp. We look forward to seeing you again this year if you’ve attended previously. If you have not attended previously, we look forward to meeting you and working with you. (WRAL) RALEIGH NC – Investigators have arrested the parents of a missing 2-year-old boy, charging his father with murder and his mother with misdemeanor child abuse, Raleigh police said Thursday morning. 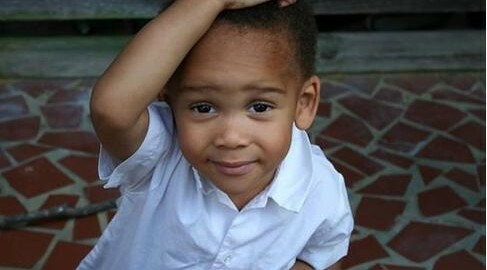 “Investigative developments overnight by Raleigh Police Department detectives have led the Tristan Blue missing-person case in a new direction,” spokesman Jim Sughrue said in a statement. Steven Daniel Blue, 31, and Briana Loriel Dangerfield, 25, both of 5416 Portree Place, #1, Raleigh, were taken into custody Thursday morning. Blue was being held in the Wake County jail without bond; Dangerfield was jailed under a $100,000 bond. Tristan’s body, however, has not been found, and police did not provide any other details about the case.